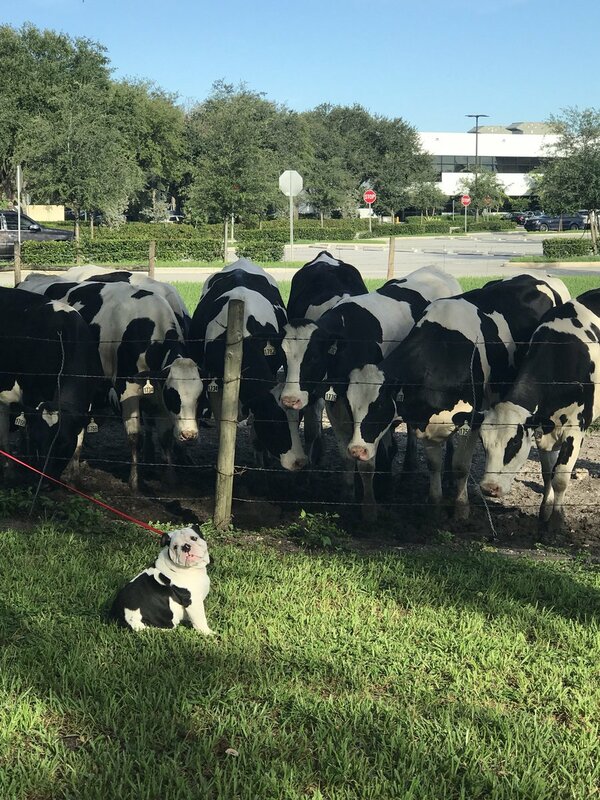 Deep down creatures great and small all have their similarities, but for one plucky little dog and a group of rather large cows, that common ground is rather more obvious. 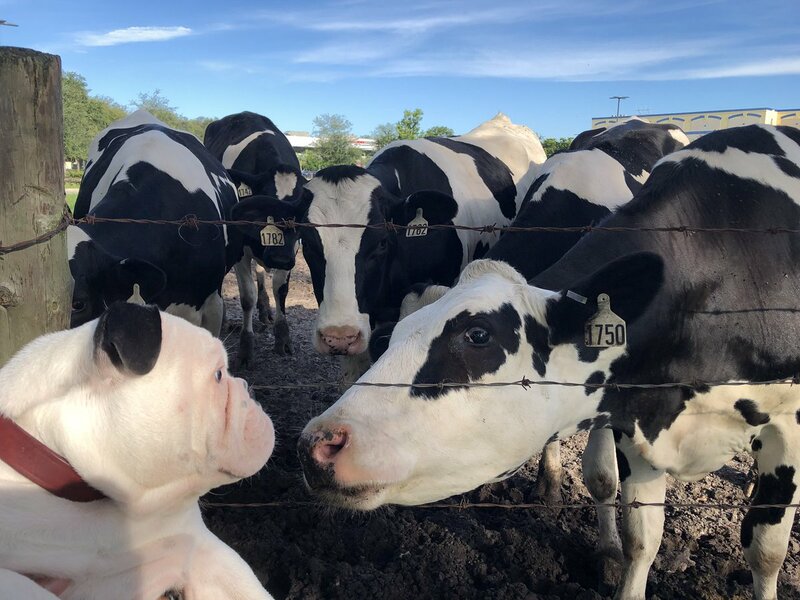 Five-month-old Tofu has gone viral after being taken by owner Isabelle to meet his bovine friends, who look remarkably like the pooch. According to Isabelle, 19, Tofu was initially nervous meeting his fellow black and white pals. “I reassured him a lot and finally once he was close enough all he wanted was to give them kisses,” she told the Press Association. 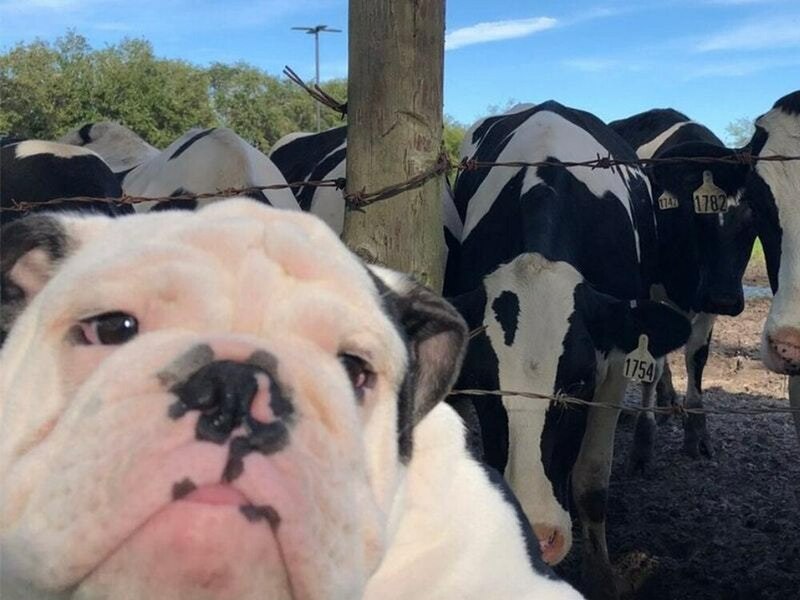 “The cows were also super curious about him. Isabelle’s tweet about the encounter has been shared tens of thousands of times. Isabelle said the lesson to be taken away from Tofu’s rendezvous with the farm animals is “compassion”.